Employing different ways to discipline your children is paramount to getting them to behave properly. As parents we all know children can some times get under our skin and make us want to rip our hair out. At certain ages they really do not understand that they are doing this to us. They see what they are doing is getting some kind of reaction out of us even though the reaction may be negative they are still getting it. The more we get mad at them they can feel the negativity so then they will act out even more. There are so many different ways that we can try disciplining our children without the use of yelling at them, smacking them, or spanking them. I will post up a list of different techniques that you can try with your child that may better their behaviors and you and the child or children will not feel like you are lost and going insane. 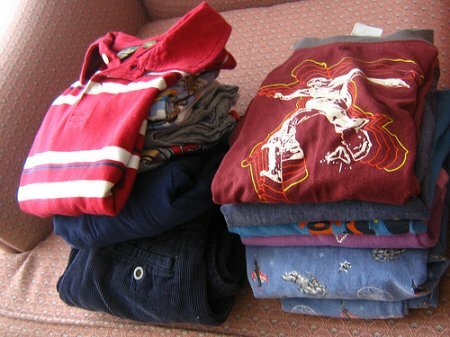 Redirection - if your child is getting in to all kinds of things they should not be then you may try just taking them by the hand or picking them up and direct them to something that is for them to play with or get involved with them in some kind of project to draw them away from whatever it is they are doing that was not good. Taking things away from them - If they are acting out real bad you can try to tell them in a calm manner if they do not stop acting the way they are then they will lose something that they really enjoy. Punish them - You can put them in the corner, or in their bed room. You only want to have them in the room or corner for the age appropriate time. Then after the punishment is over you can sit down with your child and talk about what they did wrong and why they got placed in a time out. Limit their freedoms - If they have done something they should not have then if they have something special they want to go and do or somewhere they want to go then you can take that privilege away from them. 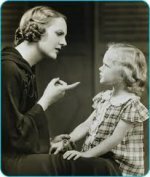 Reasoning and Communication - You and your child or children can talk about what they have done wrong and find out if they had a reason why they did it and what they can do to fix the problem or ways they can work on fixing a problem that they may have. You may even want to ask them what they think is a fair punishment for them would fit what they did. Consistency - What ever way you are going to discipline your child you have to stay consistent with it. you can not just threaten them with something you are going to do if they do not stop. You actually have to follow through with what you tell them. If you do not then they will catch on and do it anyways because they get the fact that all you are doing is threatening them with no follow through results. Effectively disciplining your children may seem like a lot of work, and in most cases, it is. However, the more effort you put into properly disciplining your kids when they misbehave, the more positive results will be. Additionally, it becomes easier over time as they grow more accustomed to behaving. This is why consistency is so important. When your child reaches the age where the need for disciplining them becomes significant, it will be much more of a struggle to get them respect your authority. Simply trying to get a child to get ready to go somewhere in a timely manner will be an uphill battle for months, if not years. But years later, if you have been consistent, they will follow new instructions almost immediately, if not sooner. CollegeNET Forum - How do you discipline your children? Share a link to a page on Different Ways To Discipline Your Children and we will consider it for placement on this page.